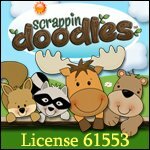 Keeping a blog is an excellent way to share written work as well as craft and art projects with friends and family. As students showcase their creativity and talents, they’re also creating a portfolio of their homeschool work. 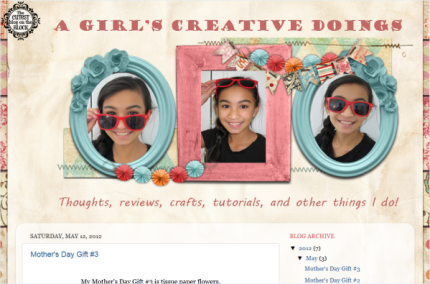 Katie Ann of A Girl’s Creative Doings started her blog as a homeschool project. She chooses her own topics to write about. Some posts are tutorials for crafts she does, some are about holidays, and some are about whatever is on her mind. She uses the Blog Post Worksheets to plan her weekly posts. The purpose of the Blog Writing Project is to allow students to practice their research and writing skills and grow in their photography, computer science, art and creativity. 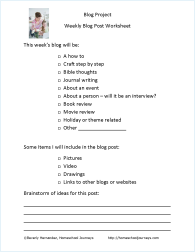 Use the Blog Post Worksheet as a tool to encourage your student to brainstorm and outline their project each week. After the initial brainstorm session, students can then plan out their projects on the Blog Post Plan form. Blogs can be posted online weekly, bi-weekly, or bi-monthly, whatever rate is convenient for your schedule.